Late online entries will be accepted up until Saturday 4/6/2019 by 10:00 AM (Central Time) for an additional fee of: $5 . Please check start times online. Start times for first round match(s) will be available after 1:00 PM Tuesday 4/9/2019. Call 503-665-4142 if you don't have internet access. Play starts at 6:00 PM on Wednesday 4/10/2019. Brian Ancheta reserve(s) the right to combine or cancel any division due to insufficient entries. Director may refuse participant's entry for any reason. Local Players within a 60 mile radius could play Wednesday or Thursday evening. You may play up to 3 events if at least one is a singles and one a mixed doubles and no time restrictions. We reserve the right to combine divisions if less than 6 players/teams. However, we will award your ranking points in the division you signed up for IF you let us know during the tournament. .
For the Safety of all players, members and children... children 14 & under accompanying you to the tournament, must be attended by an adult at all times. The Kids Klub (nursery) is open for limited hours. Call Club for fees and hours. (503.665.4142). If you are caught bringing in outside alcoholic beverages or contributing to a minor you will be immediately forfeited from the tournament and asked to leave the premises. Please use the online draws for reference only. Always check when your next match time is after you finish playing so you know when you will be playing again. 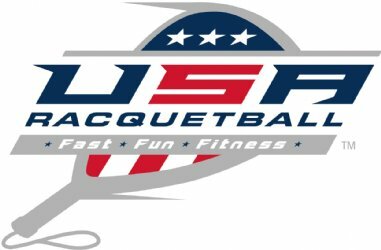 This is a USA Racquetball Championship event. The Draws will be seeded using USA Racquetball rankings. Due to limited parking for members during the event. We are asking that tournament players park at the Grocery Outlet just east of the club.